Born and raised in Surrey, B.C. Matthew fell in love with cooking at a young age and pursued this passion by attending New York’s prestigious Culinary Institute of America in 2002. After graduating, Matthew further honed his craft at famed NYC French restaurant, Lutèce. With a desire to be closer to family and friends, he moved back home to British Columbia and became Executive Chef of Sonora Resort, where he played an integral role in achieving the coveted Relais & Châteaux designation – awarded to the world’s most prestigious hotels and restaurants. It was there that Matthew also wrote his first cookbook, The Tastes of Sonora Resort, which highlighted his signature dishes from his time at the coastal resort. In 2010, he joined Cactus Club Cafe as product development chef, focusing on menu design for the casual fine dining chain. During this time, Matthew competed on the Food Network’s Top Chef Canada, beating 16 competitors from across the country, and winning the coveted title. Most recently he was the Director of Culinary Operations with the Joseph Richards Group, overseeing the organization’s 21 restaurants and public houses. 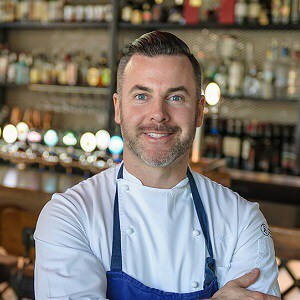 With an impressive list of guest chef appearances and brand ambassador partnerships, he also regularly appears as a guest judge for Top Chef Canada.